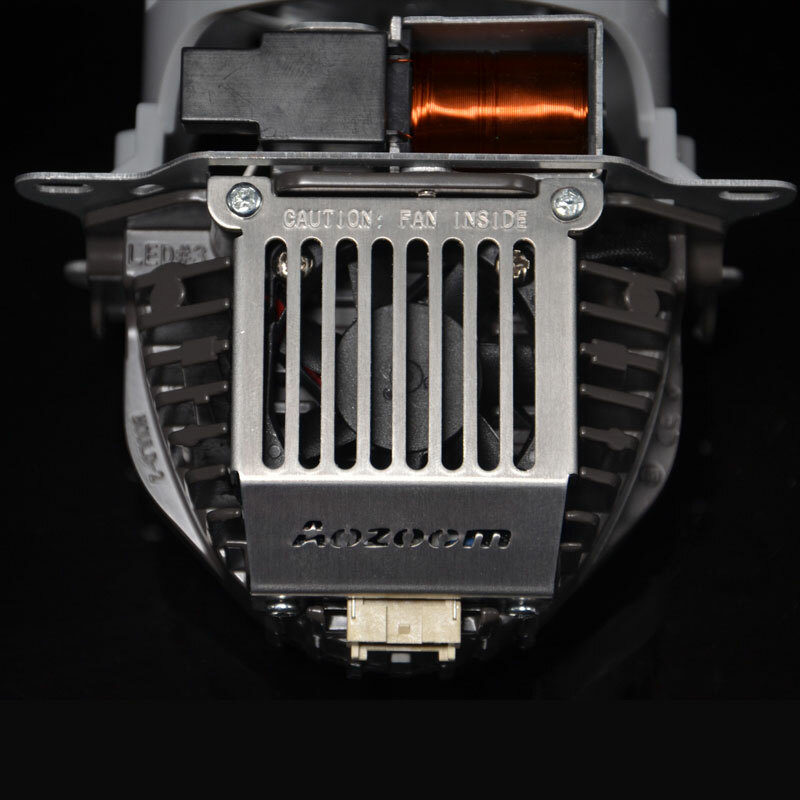 Shop AOZOOM LED projector, HID projector, HID bulbs & Ballast. 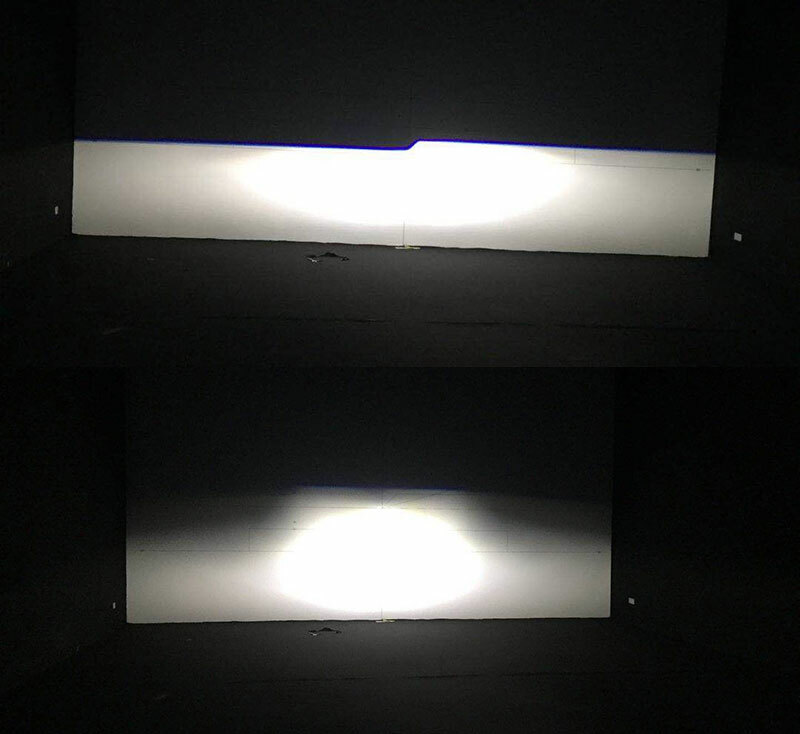 When talking about the led projector, people may say, LED has shorter distance light on road; the beam pattern is not wide at all, and some led projectors don’t look like a quality built product. Thanks to our engineers; we could say very loudly at this moment, Aozoom A3 bi-led projector has none of problems mentioned above. 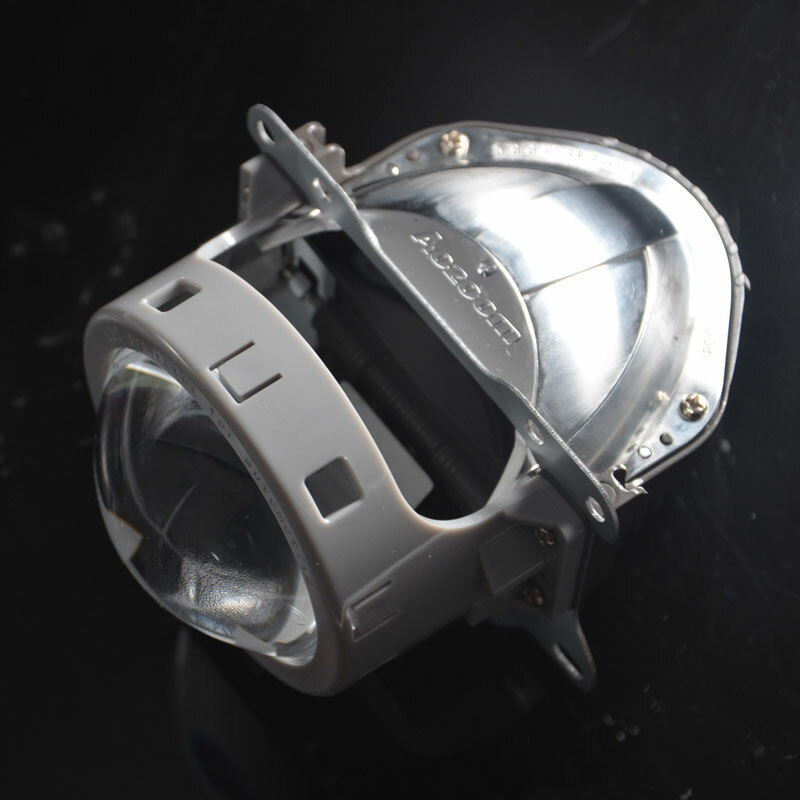 Why A3 Bi-Led projector lens? We are very happy with this projector for Aozoom. It is the brightest led projector in our lineup. This Bi-LED projector was released in early 2018. The advanced internal Optics and 3-inch clear lens help to produce plenty of color flicker and a razor sharp cutoff line that eliminates all glare to oncoming traffic. Beam pattern is wide, fantastic distribution of light. Not only that, the hotspot is very bright and concentrated in the center. If you're looking for maximum distance visibility, this is a solid option for you. The A3 Bi-LED is a quality built product. Its external body is made of die-cast aluminum which is guaranteed tough and heavy. The reflector bowls have a perfectly metalized finish. The fully die-cast cut-off shield makes the light output very consistent. 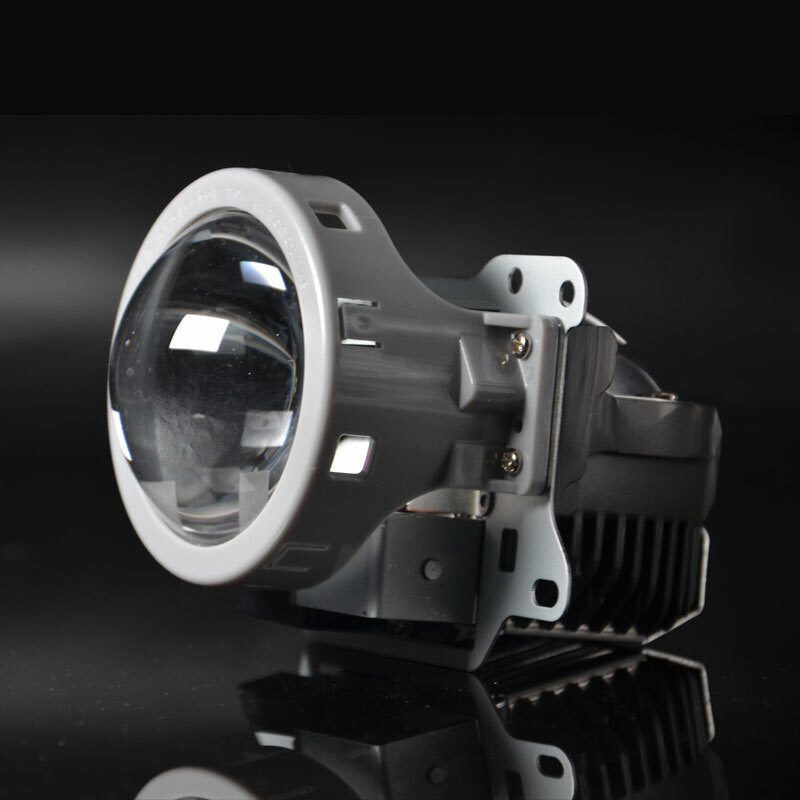 Like D2S bi-xenon projector, it has a side pole solenoid mechanism that creates a reliable high beam pattern. The wiring is clean. 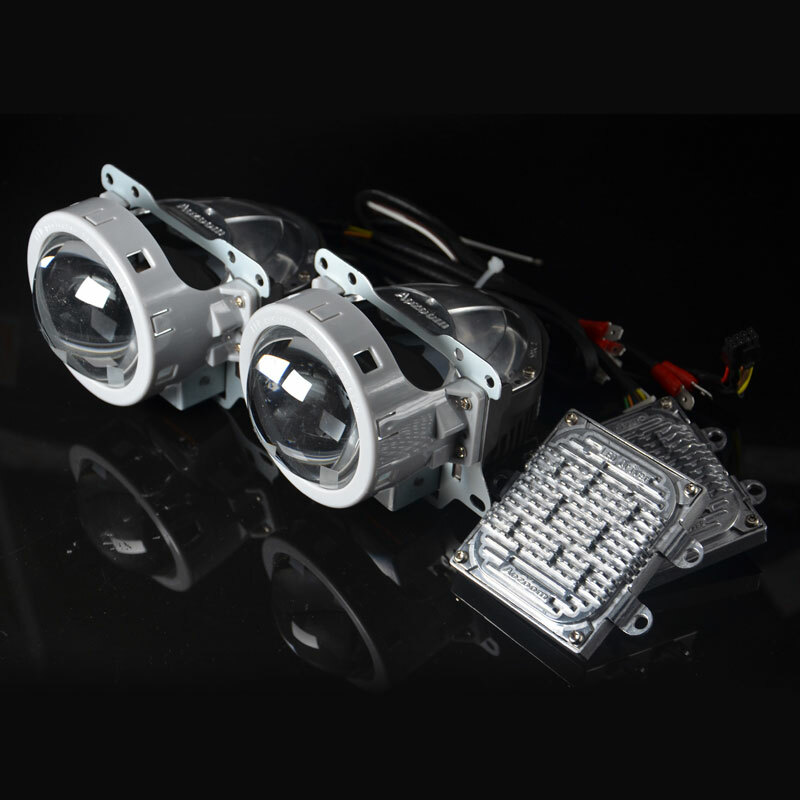 A3 bi-led is one of the projectors that have the heatsink as well as the double ball bearing fans on the bottom, which efficiently cooling the PCB board and LEDs, ensure LEDs operating on a safety temperature and lasting for long time. 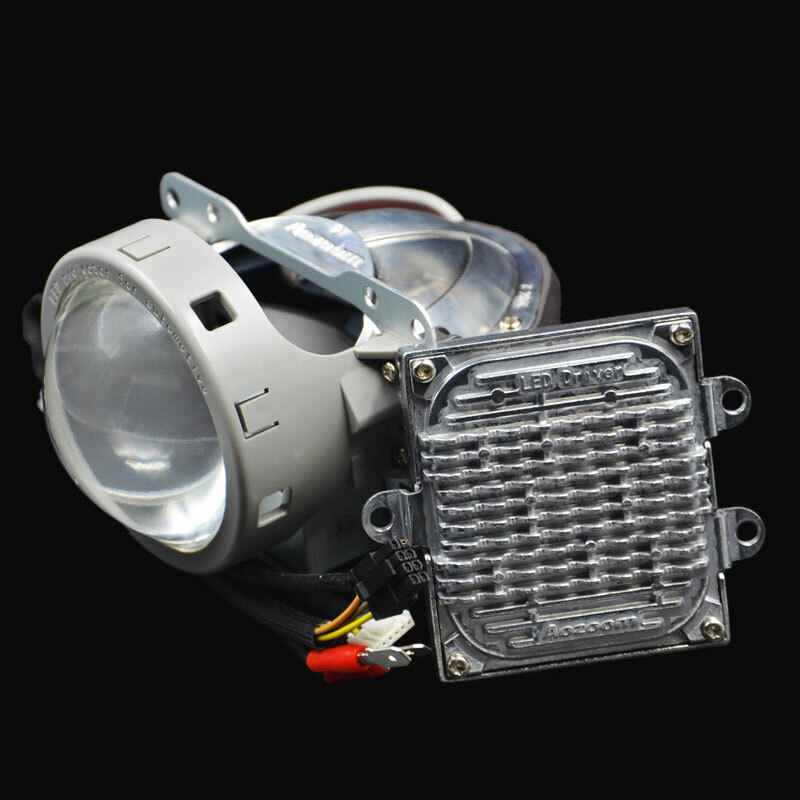 It is truly an all-in-one led projector headlight. The bi-Led project has contained the light source and driver while bi-xenon projector still needs to work with HID bulb, ballast, wire harness. LED light source can work at 12 volt while HID need 12000 Volt to start. 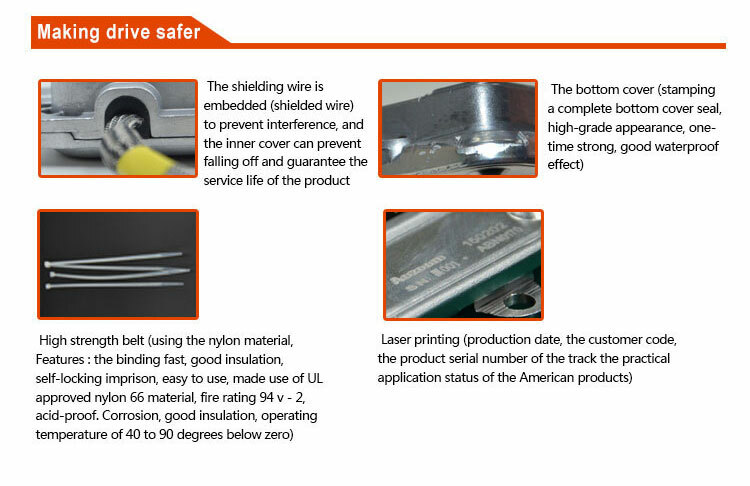 So bi led projector is safer and less consumption. 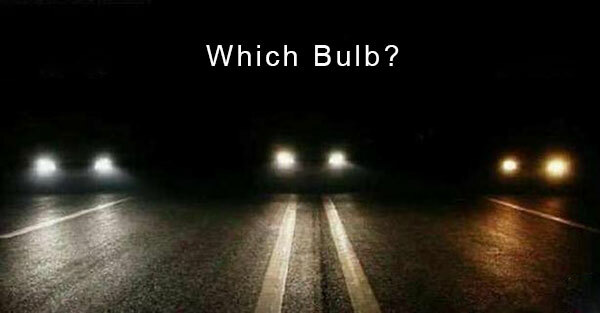 Besides, Led has longer lifespan compared to HID. 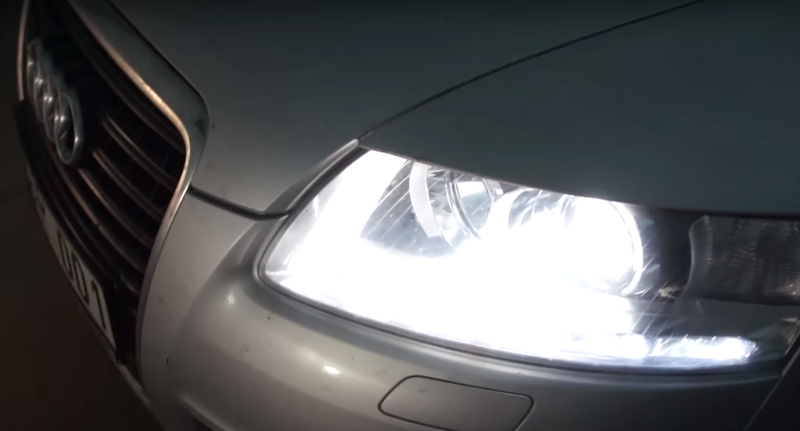 A3 bi-led projector doesn’t has a mounting shaft and you will have to be prepare to put your time and effort when you come to retrofit this thing into your headlight, but having said that you will be rewarded with a fantastic light outputs. 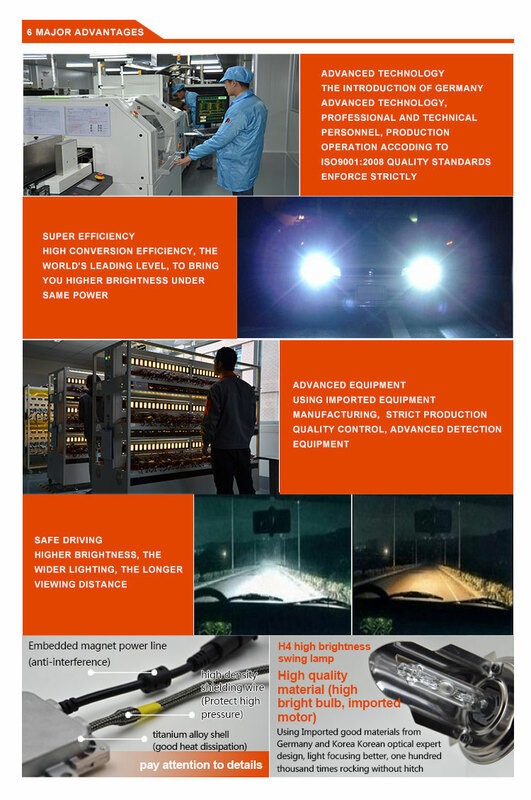 Aozoom is capable of supplying automobile lighting products to Auto manufacturers and aftersales upgrading industry in China or overseas. 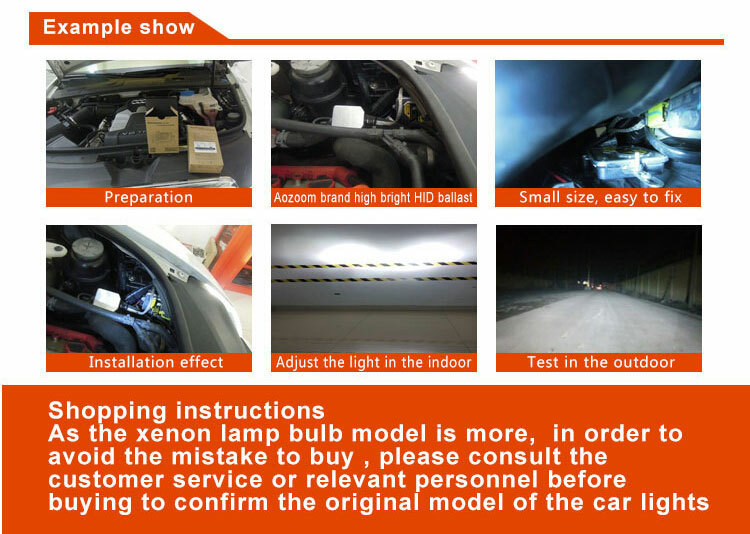 In China alone, there are more than 2000 individual auto lighting franchise stores, and over 10 overseas country-level distributors. We are exporting products as well as supplying technology and knowledge about product installation and marketing feedback. Contact us today with any questions; you won’t regret it! No quantity limited to sample order.